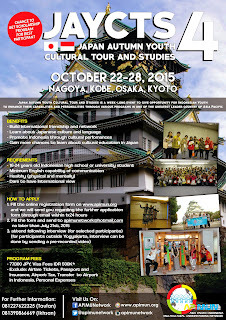 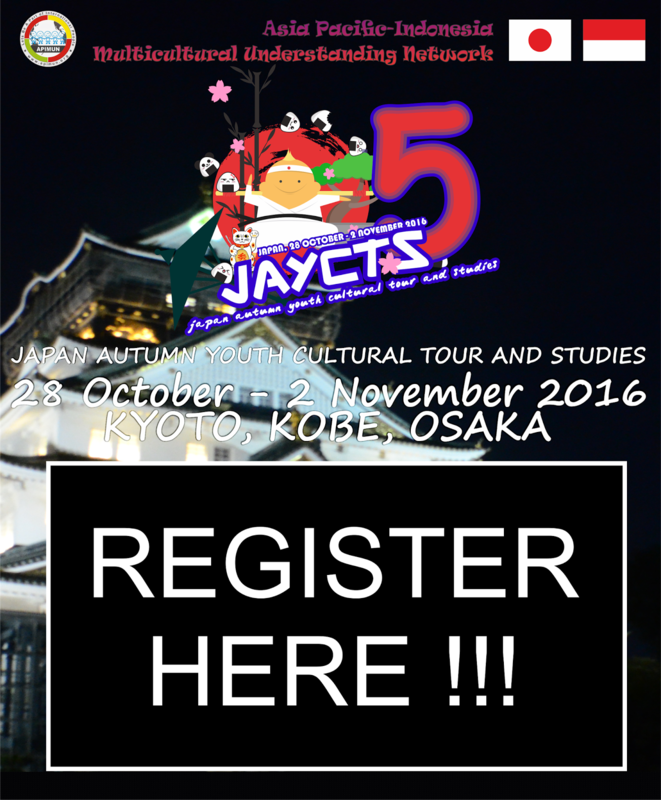 Japan Autumn Youth Cultural Tour and Studies is a week day-long event to give opportunity for Indonesian youth to enhance their capabilities and personalities through various programs in one of great leader country of Asia Pacific. 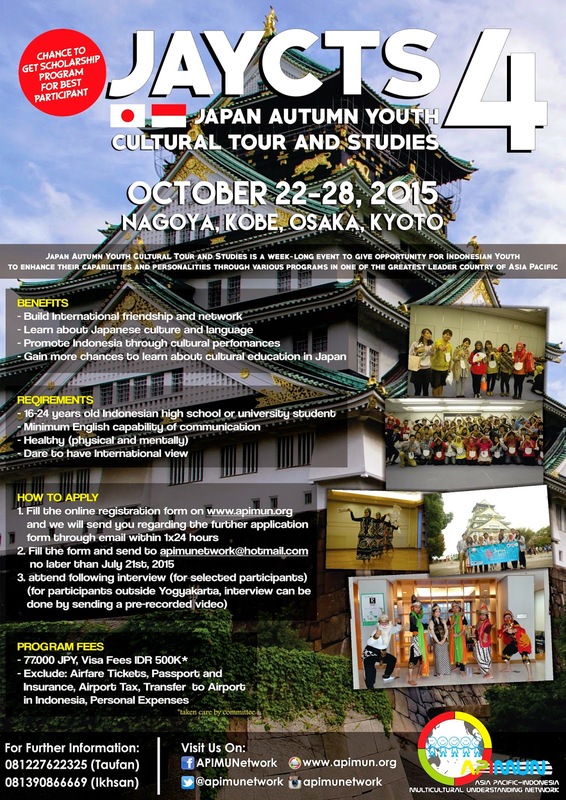 Gain how to learn chance of future education in Japan. 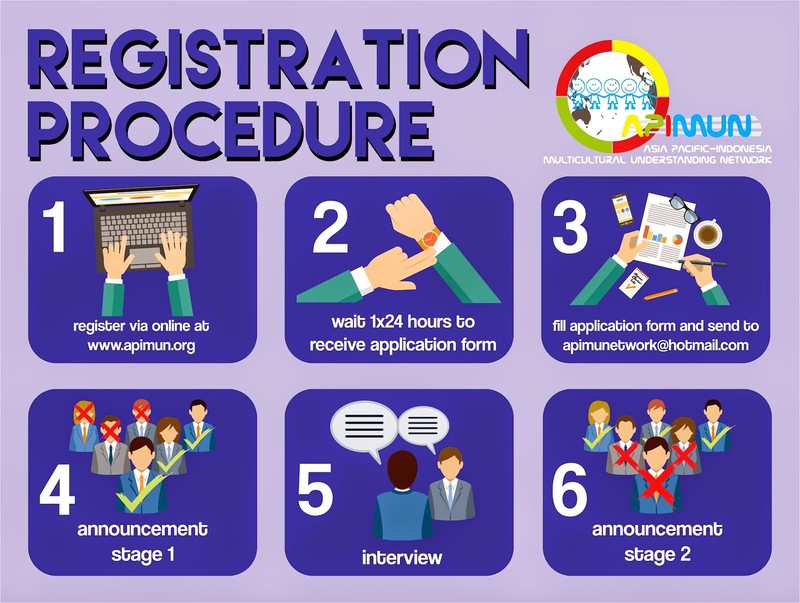 Commence social projects based on "social voluntary program"